As laws pertaining to marijuana use, whether based on medicinal or recreational use evolve, the implications of usage will continue to have a growing impact on the construction industry. As such it is important for contractors to keep abreast of the status of the laws pertaining to this important issue. There are a number of laws which are directly implicated including the following. 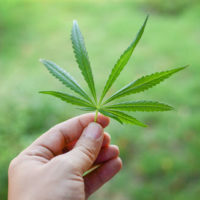 The United States Department of Transportation does not authorize “medical marijuana” under state law to be a valid medical explanation for a transportation employee’s positive drug test result. The Federal Drug Free Workplace Act requires some Federal contractors to agree to provide drug-free workplaces as a condition to being awarded contracts. Contractors with at least one contract greater than $100,000 require all employees to be covered. Some of the requirements include publication of a policy statement regarding the unlawful use of controlled substances stating that such use is prohibited in the workplace, the establishment of a drug-free awareness program and making an ongoing, good faith effort to maintain a drug-free workplace. Contrary to some beliefs, the Americans with Disabilities Act (“ADA”) does not require employers to accommodate marijuana usage for medical conditions. Nor does the ADA cover employees who use illegal drugs. The Controlled Substance Act classifies marijuana as a Schedule 1 drug, and as such Florida employers should be able to enforce zero drug policies. While such policies may conflict with an employee’s right to use medically authorized marijuana outside of work, courts seem to be upholding an employer’s right to terminate employees based on violation of zero tolerance drug use policies. Worker’s Compensation is another area implicated by marijuana use. Florida Statute §440.102, impacts how employers may operate drug-free workplace programs. Employers may receive discounts on their workers’ compensation premiums by implementing drug-free workplace programs. However, as Florida’s new medical marijuana law, provides that marijuana is not reimbursable under the workers’ compensation statute, employers who allow medical marijuana use under their drug policies may not be entitled to workers’ compensation discounts. In adopting the “medical marijuana” law, the Florida Legislature did not intend to interfere with Florida employers’ current drug policies and programs. Not only would allowing medical marijuana use potentially increase an employer’s workers’ compensation premiums, employers would face the inherent risks that accompanies impaired employees at the workplace. Under any circumstance, contractors should have a clearly delineated drug use policy and should keep abreast of the changing landscape concerning use of marijuana by consulting with competent legal counsel and experienced insurance professionals.